As a follow up to yesterday’s post regarding the rise in thrifty consumer behavior, I heard this stunning statistic this morning on “Morning Express with Robin Meade”: A recent PayPal and comScore survey found that 43% of online shoppers do not proceed and purchase items, abandoning their online shopping carts, due to shipping rates that are viewed as too high. The article quotes a research expert who notes that free shipping is an effective lure for customers who don’t like paying for shipping when considering their purchase options. 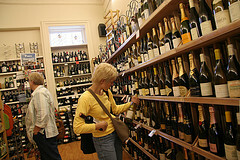 As I dig deeper into the wine industry and look to identify the needs of both wineries and wine lovers, I had an idea. I have noticed that it seems to be tough for wineries to gather consumer preferences and desires when planning ahead and that oftentimes wineries are counseled to resort to online surveys to gather this information. Or the dreaded comment card! As the legion of wine lovers grows, I wondered if there would be interest in establishing monthly wine tastings that would also serve as a focus group for wineries to submit questions and gather feedback from a small sampling of wine consumers. Trying to decide between two label designs, the next grape variety to plant, innovative ideas for your wine club? Ask away. Perhaps wineries would provide a few bottles to the members of the group in exchange for picking their brain. This would be a very non-scientific sampling, but could be helpful and cost-friendly! This could complement any survey findings or other feedback gathered. And if the winery owner/marketer/winemaker attended the meeting, there would be an opportunity for them to interact with new potential customers, creating a bond and potentially driving sales. 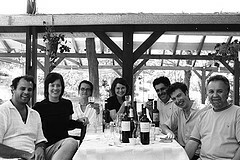 The local wine bar, an intimate restaurant or the winery would make for fun gathering places. I found a couple of hits on Google for a few random wine tasting focus groups, but I’m thinking of more of a regular, monthly opportunity. What do you think? Help by turning wine into food this weekend! Note: The Humanitas 2006 Pinot Noir will not appear on The Wine Spies website for purchase until Saturday, June 21st. UPDATE: The Wine Gives online wine sale to benefit The San Francisco Food Bank has been extended through Wednesday, June 25. 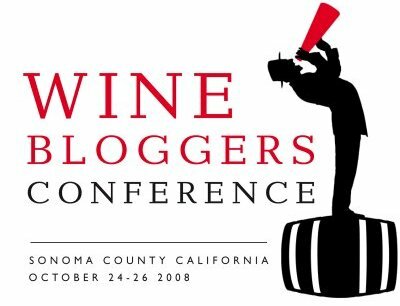 Additional winery participants include Iron Horse Winery of Sebastopol, CA; Michel-Schlumberger of Healdsburg, CA and Pengwine of Chile.